When I met Swamiji for the first time, I didn’t know anything about him or Master. I hadn’t even read Autobiography of a Yogi. I had been practicing Hatha Yoga for a couple of years at the Yoga Institute in Houston, Texas where I lived. Swamiji was giving a free lecture there and I was intrigued by the idea of meeting a real swami. I arrived late and the only seats left were in the front row, which suited me fine. I wanted to be close. 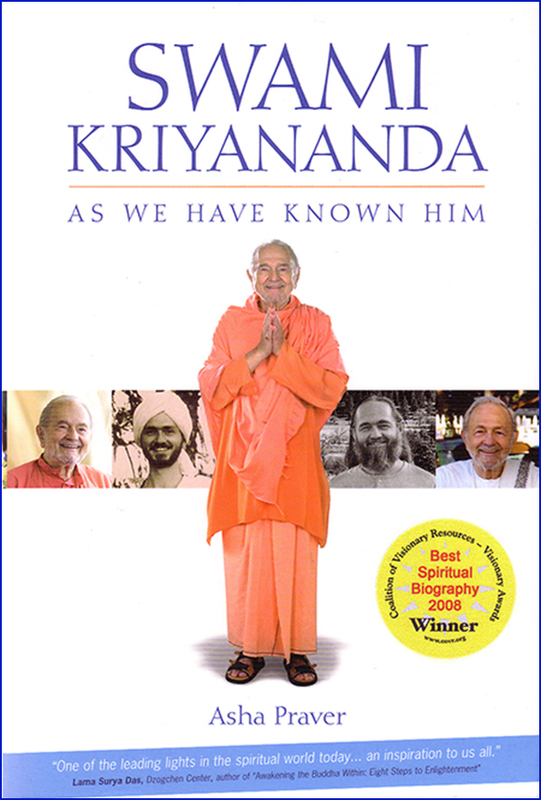 Swamiji was on a nation-wide tour and about a dozen people were traveling with him. The program started with a few songs by the Gandharvas, as the Ananda singers were called then. The visual impression they made was a little disconcerting. Everyone I knew who was into yoga had a kind of hip, city vibe. The Gandharvas didn’t have any of that. They looked like what they were: devotees from a rural ashram. When I closed my eyes, though, and listened, I forgot all of that. The music was sublime. The first visual impression I got of Swamiji was also unusual. With his beard and long hair, and orange, Indian style clothes, he didn’t look like anyone I had ever seen before. When he began to speak, I closed my eyes so I could concentrate better. Instantly I was catapulted into a deep place within myself where I’d never been before. I felt I was drinking from the depths of Swamiji’s peace. His voice echoed and re-echoed within me, as if my insides were a huge empty cavern. Gradually, though, his consciousness began to fill my inner emptiness, and the echoing subsided. Once or twice I opened my eyes, but quickly shut them again. Nothing outside was as interesting as what was going on within me. Eventually, the program came to an end. I felt like I was coming back from another world. It shocked me to see that people were leaving the hall. Then, for just a moment, I doubted. “I guess it’s over,” I thought. And I, too, stood up and started to leave. But when I turned toward the exit door, my body felt sluggish, and I could hardly move. And the exit door turned into a huge black hole that was sucking people out of the room! I turned back and faced Swamiji, who was still on the stage, talking to a few people gathered around him. This direction, I saw nothing but bright light, and my body felt relaxed and free. Once again, I turned toward the exit door. “Don’t go there!” my inner voice cried. That was enough for me. I turned toward the light and never looked at the door again. Swamiji gave programs all weekend and I spent every minute I could with him. By the time it was over I was moving into a newly formed Ananda ashram in Houston, even though I barely knew what an ashram was. Six months later I was living at Ananda Village. That first experience with Swamiji was like hooking into a spiritual ‘tractor beam’ which has guided my life ever since.